Planning a wedding is no cakewalk, but a well-designed wedding cake can help you tick off one of the most important elements of the big day so you can breathe a little easier! Things become even more magical and romantic if you decide to pick one of these Disney wedding cakes! 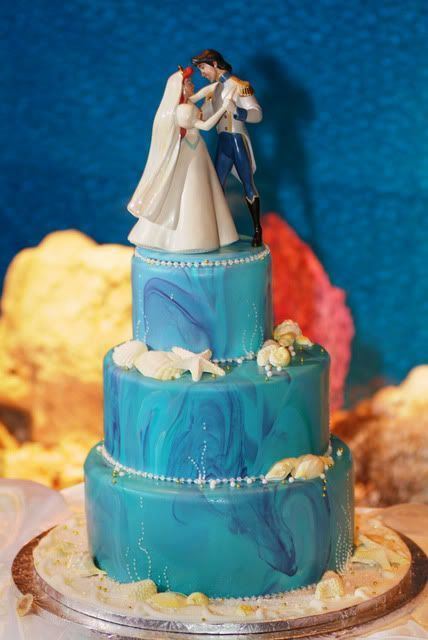 Disney-obsessed couples, your wait is over as we bring you 15 Disney-inspired wedding cakes to choose from or let them ignite a thousand brilliant ideas of personalization! 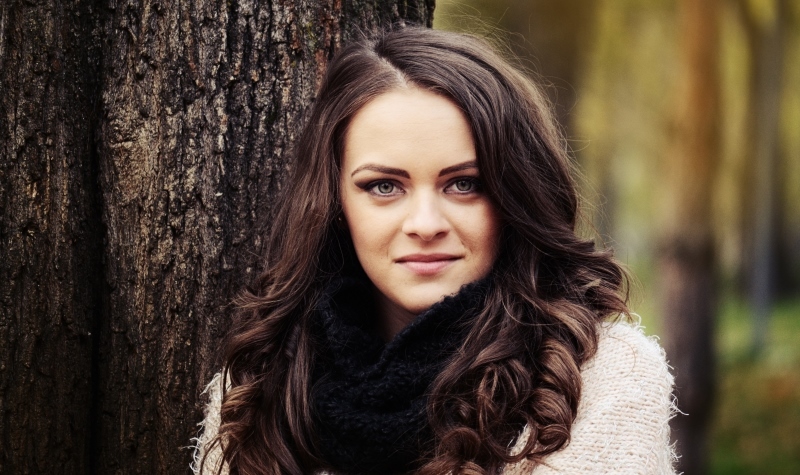 When it comes to weddings, each and every detail is important: the dress, the venue, the invitations, and more! 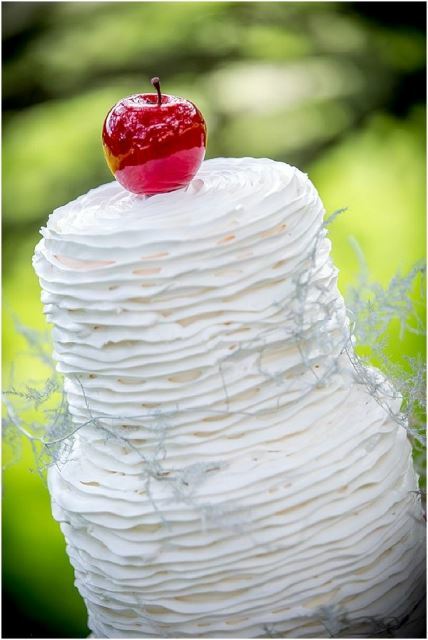 For a dream wedding, in our opinion, a cake beats all the other elements hands down! It is not only about the cake-cutting moment or stuffing each other with the frosting, the wedding cake represents who you are as a couple! This is the perfect moment to show your personalities in a super fun (but edible ;)) way! Even if you aren’t getting married in a castle, there are plenty of ways to bring in the fairy tale ‘flavor’ to Disney weddings! From having a subtle reminder of Beauty and the Beast on the cake to Alice in Wonderland, or adding a quirky Peter Pan silhouette to a creative Lady and the Tramp cake topper, we bet you will have a tough time choosing. 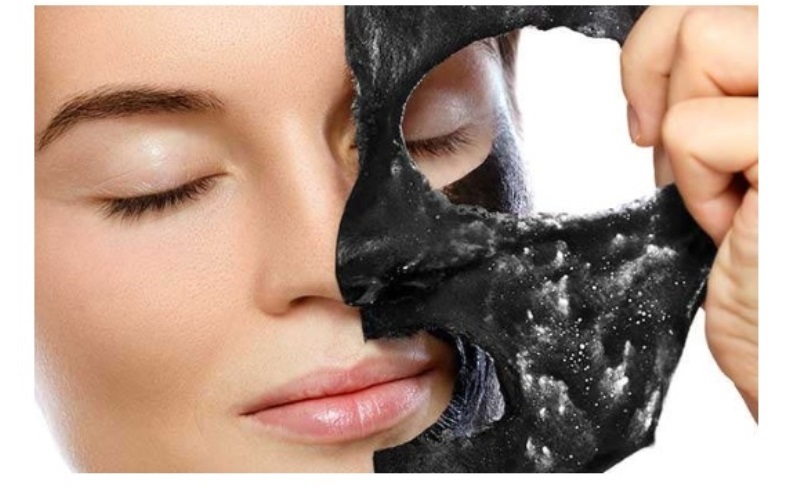 Let the magic begin! 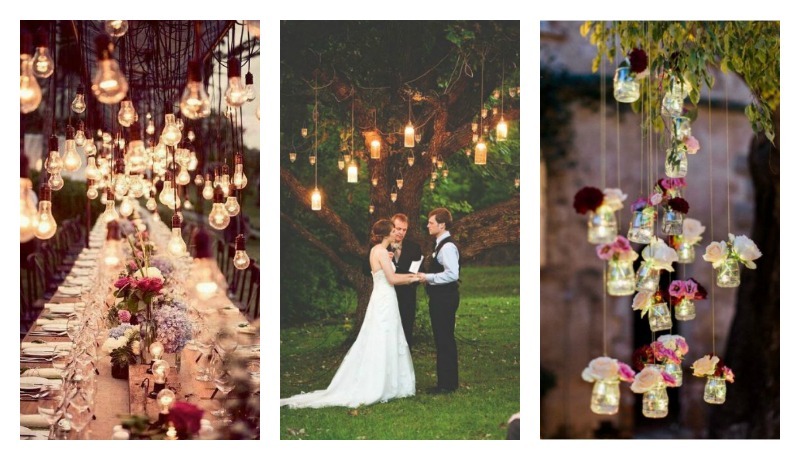 Cinderella is a great inspiration for those planning Disney-themed weddings. 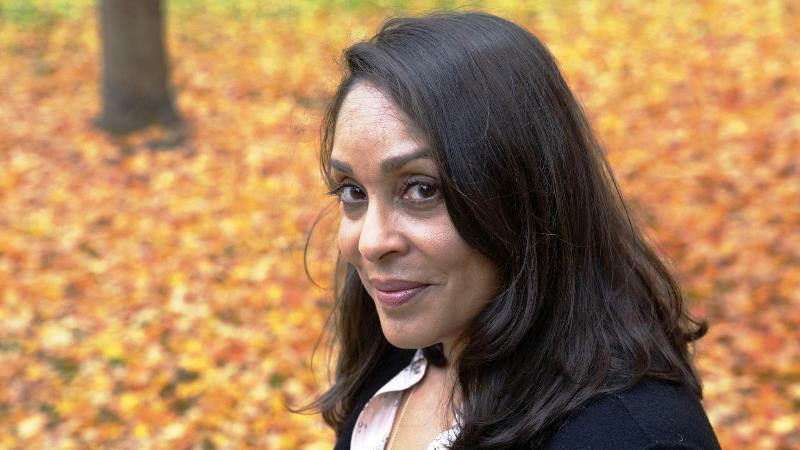 It is the perfect story of finding love, losing it, and then having it find you! This cake has very delicate reminders of the fairy tale – the base is shaped like the carriage that the Fairy Godmother gave Cinderella to take her to the ball! This is where it all began! The Lady and the Tramp, well, well! Doesn’t it describe most love stories! This cake takes on a vintage angle with white icing and beautiful windows carved on it. They have kept the romantic feel alive with the flowers hanging on the windows and little edible flower pots placed on the base. The scene in the restaurant (the first kiss!) cake topper, however, is the show stealer! 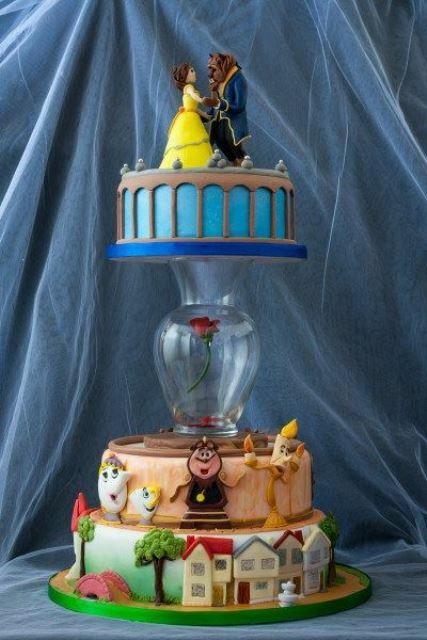 For the Christopher Nolans among Disney fans, I bet this is your cake! 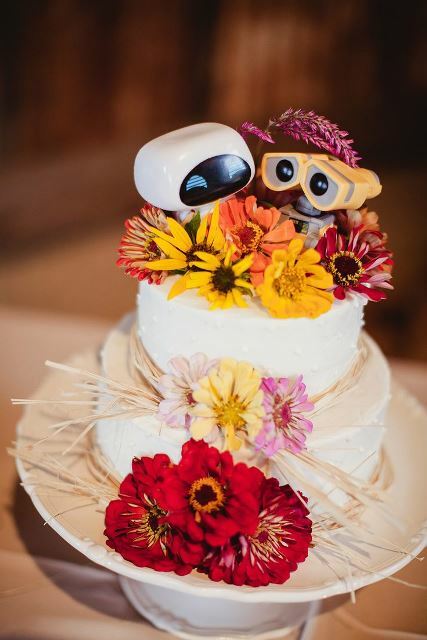 However, to keep the gloominess of the sci-fi out of the cake, the designer has very creatively used flowers to beautify the wedding cake without killing the Wall-E uniqueness! Do you see Abu, the monkey, and Genie’s lamp on the stairs to the castle? 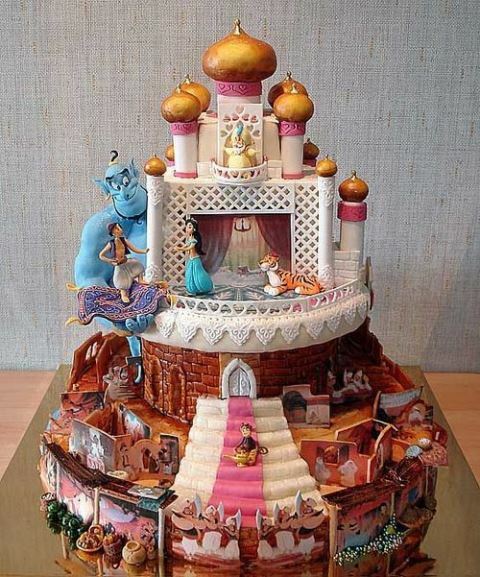 Yes, that is the level of detailing needed to create an Arabian Nights-inspired Disney wedding cake! You have to conjure up the whole Arabian scene on your 16-pound cake, with Aladdin on the magic carpet and the genie having his back (as usual! ), Jasmine on the terrace with her pet tiger, Rajah, and Abu and the lamp waiting downstairs. This cake will undoubtedly be the talk of the town for a decade at least! Up is one of the most beautiful love stories that Disney ever gave us. 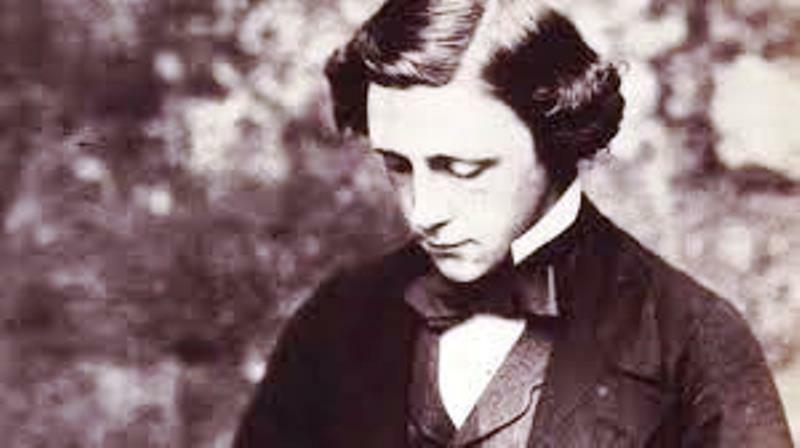 Though a comedy adventure, the element of love and living for the love who’s dead now, really stood out! This is a fun wedding cake, so do not forget to add as many colors as possible to the bunch of balloons the characters will be carrying on top. 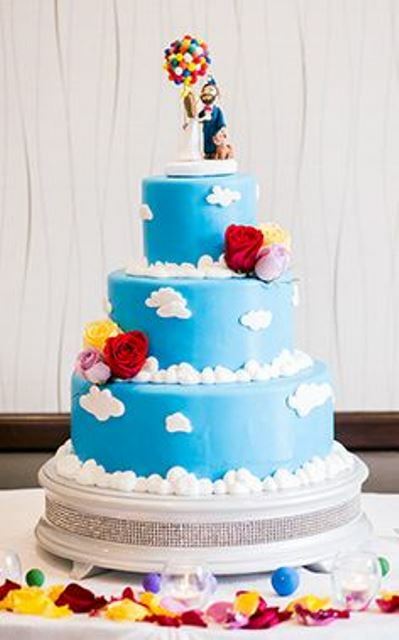 In this cake, the creator has used blue icing to represent the sky and has also used a white icing to draw clouds. A perfect day for flight, eh? From falling to flying in love together! 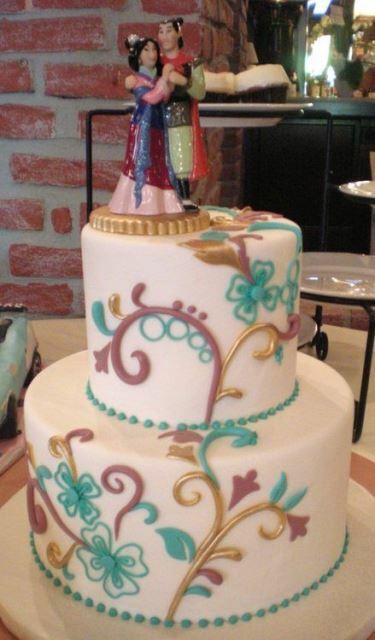 If your love story is a ‘tale as old as time,’ then the Beauty and the Beast cake was made for you! This is a fun piece with little houses, trees, fountains, and bridges on the first tier. On the second tier, we have the entire supporting cast from Mrs. Teapot to Cogsworth and Lumiere. The enchanted rose leads us to the soon-to-be-wedded couple dancing on the third tier! 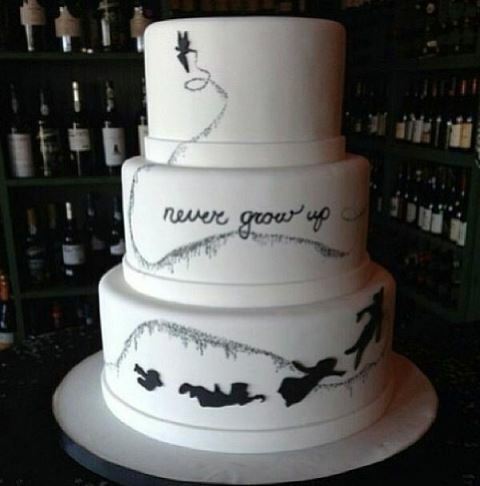 The whole tale is displayed on a cake! It is a masterpiece! Doesn’t this Disney wedding cake make you feel like Rapunzel baked it herself sitting in her tower for her Mother-who-knows-best? It is just so gorgeous and lit up! Well, kick out that beast of a mother and swap her for the hot Flynn Rider. Now doesn’t it sound oh-so-romantic! This cake has used all the details of the tower where Rapunzel was ‘caged’ and ultimately found her freedom through Flynn. 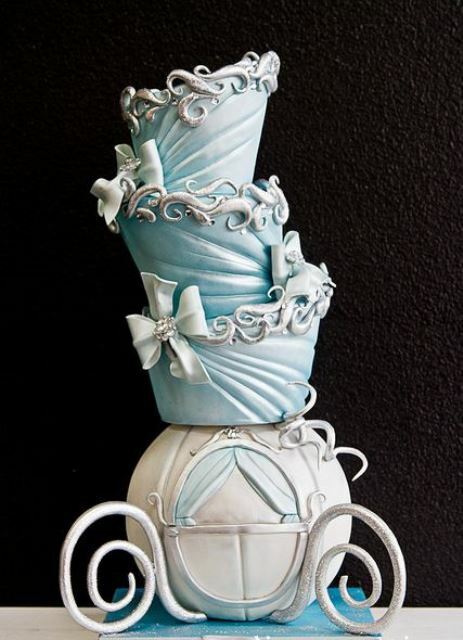 It’s minimalist yet gorgeous with different shades of blue on each level of the cake! “A Girl worth Fighting For,” isn’t she? For the warrior couple that battles all odds, here’s your wedding cake. This cake must have glimpses of the Chinese legend even if you choose to not include the inedible cake topper! 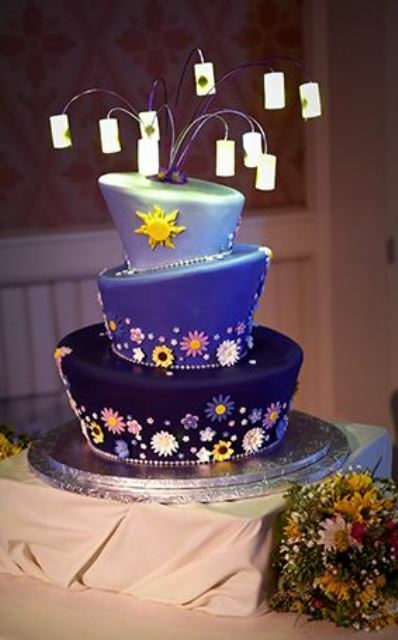 Chinese flower designs on the body of the cake give it a very tranquil look. 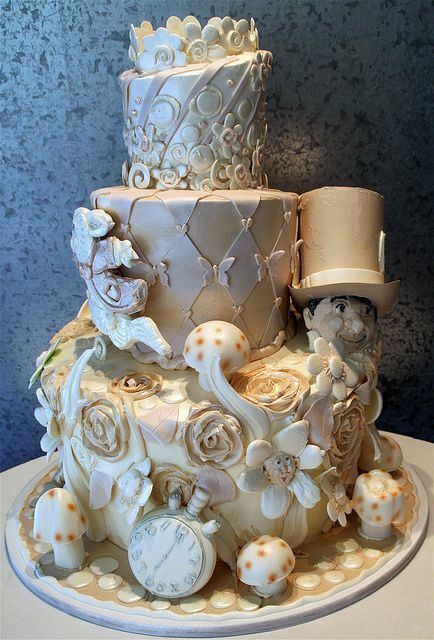 Speaking of Disney wedding cakes and not including the Mouse couple? C’mon, that’s impossible! Yeah, it’s all ‘Frozen’ but in an act of ‘true love’! 😉 The structure of the cake is three-tiered, one on top of the other! The body of each tier has designs of Mickey and Minnie. 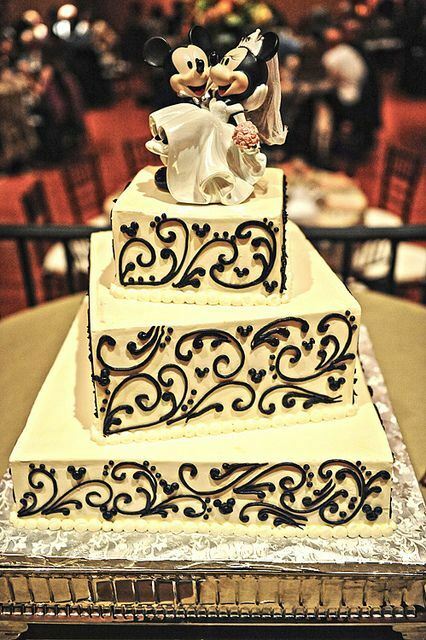 This is one of the Disney wedding cakes on the list where I adore the cake topper the most! Look at Mickey lifting his mousey love off her feet! Aww! 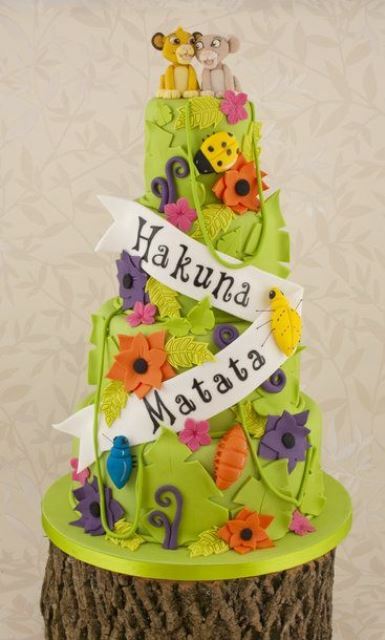 If you are the YOLO kind, this ‘Hakuna Matata’ cake is your best bet! Simba and Nala, cozily next to one another on Mount Kilimanjaro… love never felt so ‘wood’! 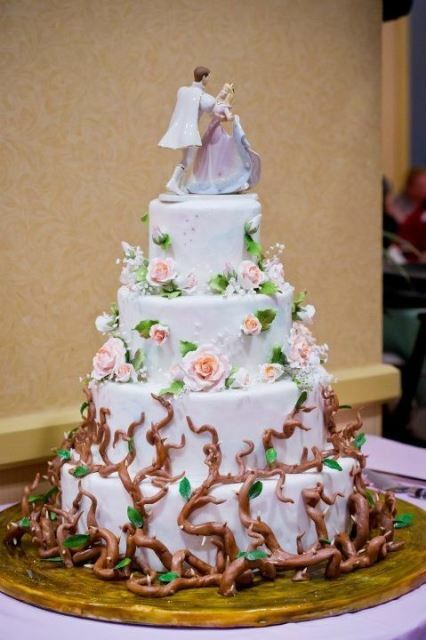 The designer of this cake let her imagination run wild and made the base of the cake into a tree trunk, giving the whole idea a wild look! I think this one is fun, lively, and lovable all at the same time! For all the couples who are evergreen and think that their life is an elixir for itself, this Peter Pan inspired Disney wedding cake belongs to you! Am I hinting at the Geminis?! 😉 Well, not necessarily! While this cake is magical in itself, you can add to the charm if you just place two fancy silhouettes of Peter Pan and Tinkerbell on the sides! Make sure that the cake has a lot of pixie dust in it, let it slide out when you cut the cake, and the moment will become even more of a fairy tale! 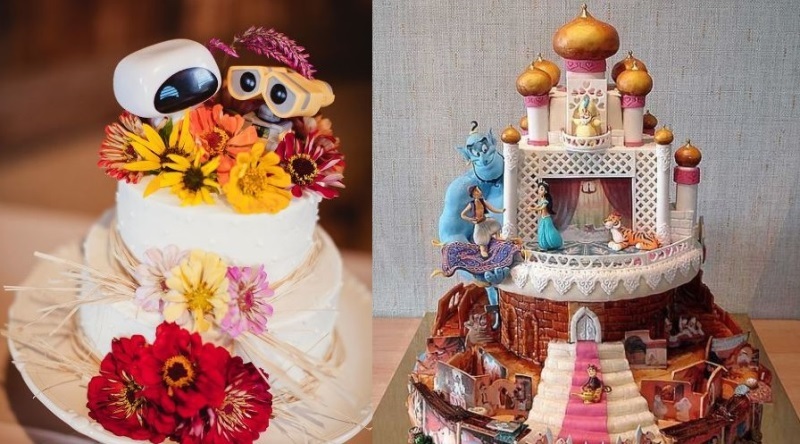 So, did we bring you a step closer to striking something off your to-do list for your wedding with these Disney-inspired cakes? Yes? 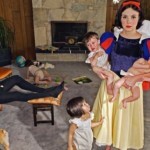 I know they say that what happens in Disney movies is not real: life in Disney is not like life in reality! So how about making life like Disney instead of struggling to make Disney like life? Happy wedding day! 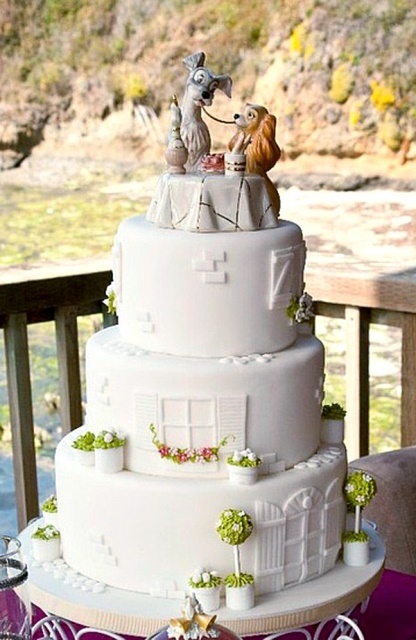 If you've a Disney fan, then you'll LOVE these amazing Disney wedding cakes! 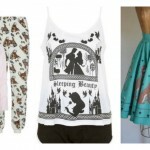 15 Cool And Quirky Picks From Disney Fashion The Kid In You Will LOVE!